The school has recently applied for a Sainsbury School Games Kitemark. This kitemark is owned and created by the Culture, Media and Sports and is implemented and developed by the Youth Sports Trust and Sports England. The Kitemark rewards schools for their commitment to and the development of competition, school sport and P.E. The Sainsbury School Games Kitemark is assessed against bronze, silver and gold criteria. 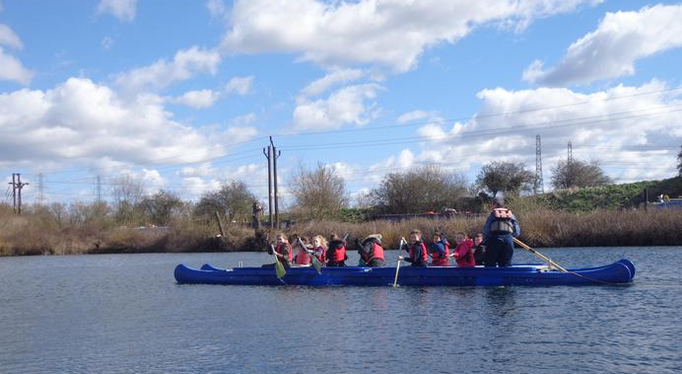 In February to link with their topic on Vikings year 5/6 went to the Mariner’s Base in Cheshunt to take part in Dragon Boat and Bell Boat Activities. The coach to this activity day was funded by Sports Premium. On the 1st April we held a Passion morning in school and using Sports Premium funding, two different sporting activities were arranged. One was trampolining for yr5/6 and the other was Bollywood Dancing for the Reception class. 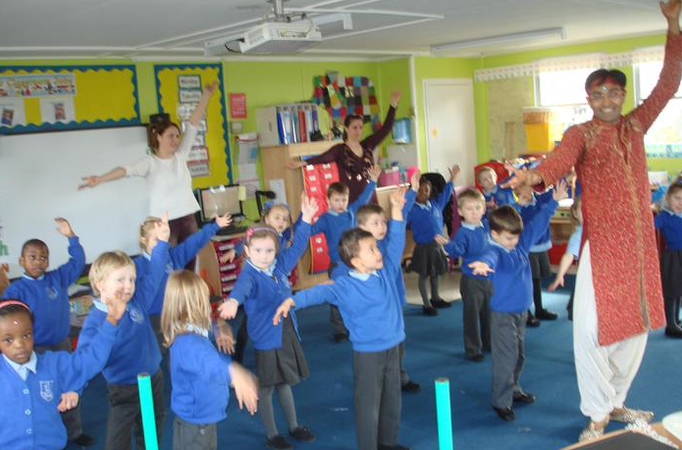 Both these activities were very successful and the children benefitted from experiencing a new sport and a different dance style.